Who says that Easter Baskets need to be filled with ONLY chocolate bunnies and Peeps. Though, you’ve gotta include one or two. 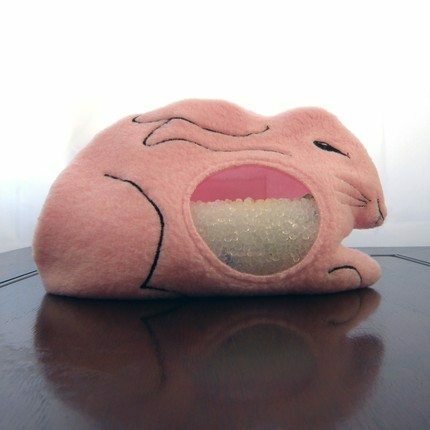 However, here are some adorable gift ideas for your children’s Easter Baskets or to hide around your place for egg hunting time. 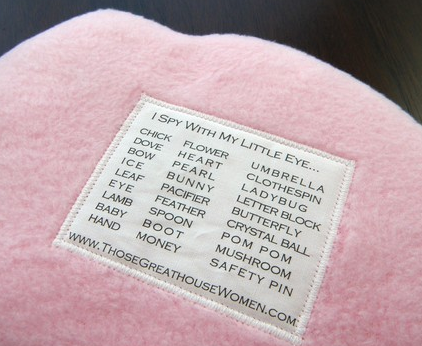 This I Spy Bag will last your kids well past Easter and into road trip season this summer. 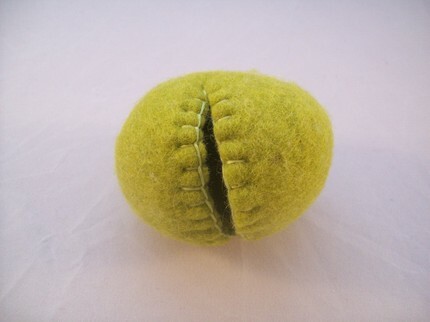 Look for the fun trinkets inside. I’m starting a new tradition in my house this year. I’m going to start collecting Easter Eggs, much like we collect special Christmas Tree Ornaments and hide them in our family’s annual egg hunt. I think this cute baby chick will be the first one in our collection. There are so many to choose from. I’m sure you’ll find a favorite here. 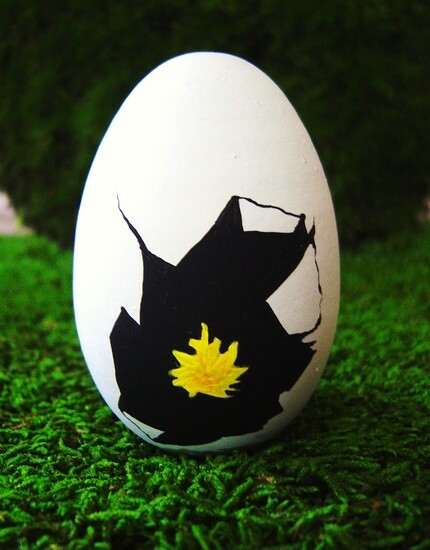 Another great egg to include in a hunt. 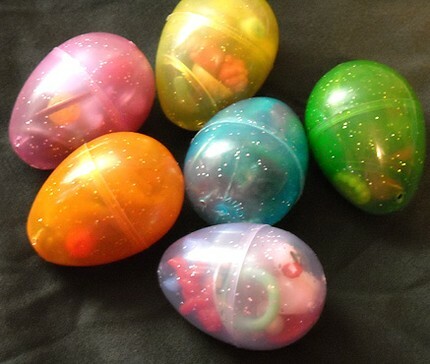 This plastic egg is full of treats that kids are sure to love. I love that this is an easy DIY idea to replicate. 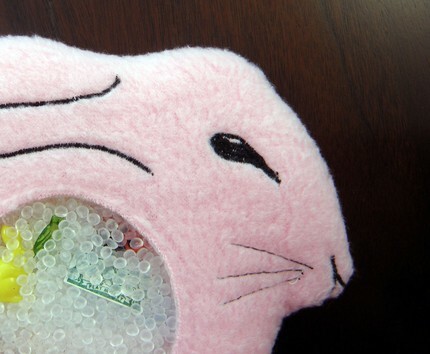 Who says you need a plush bunny in an Easter Basket? 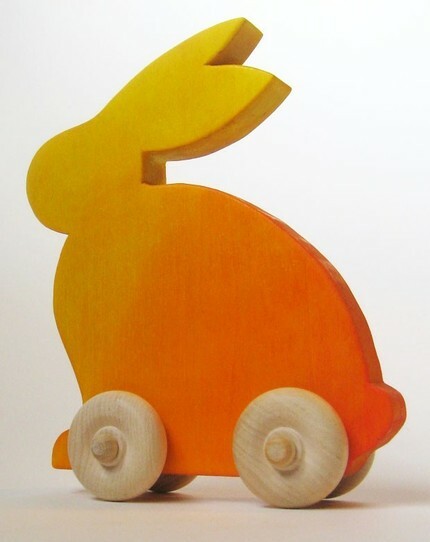 These wooden bunnies are adorable and would be a perfect alternative! 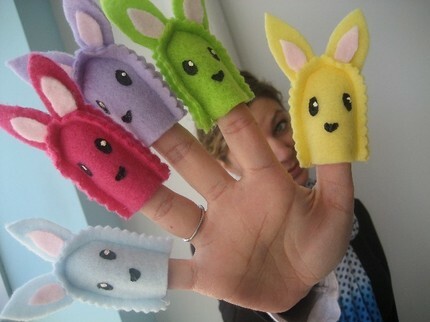 These bunny finger puppets are cute as can be. Kids love fun-shaped soap. 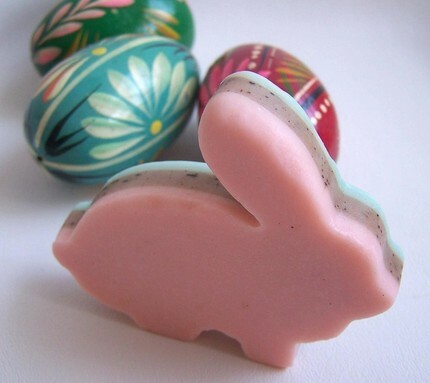 So it only makes sense to indulge in bunny soap. 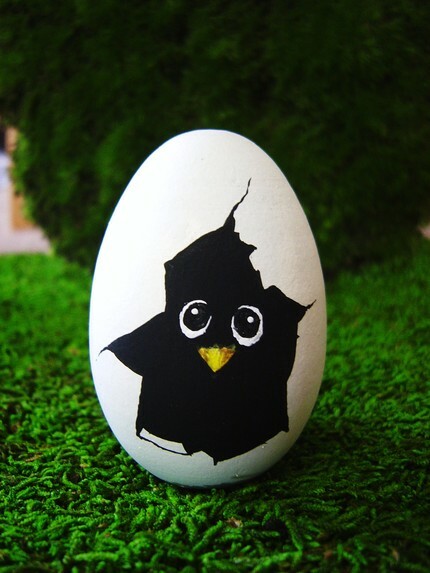 This is another cute egg to include in an Easter egg hunt. Love Waldorf gnomes. 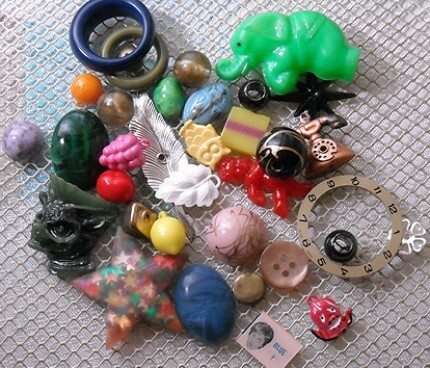 As with all goods sold on Etsy, if it is sold out, please poke around the individual shop owner’s listing as they usually re-list popular items or contact the shop owner individually to see if another one is coming up for sale. And that is the beauty of the Etsy marketplace. 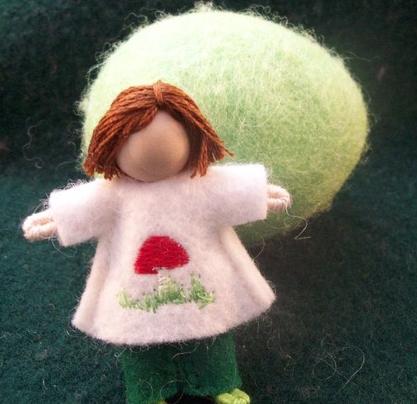 Just ordered two of those tres cute Waldorf dolls. Thanks for the idea! Thanks for the cute Easter basket ideas. Don’t forget books! From Amazing Baby’s Five Little Ducks to Rosemary Wells’ Max’s Chocolate Chicken, there are many spring themed books for kids to enjoy and learn from. I am a speech language pathologist who reviews great children’s books, toys, and games for their value in building your child’s language skills.